Every year, more and more people are trading with binary options as it can be extremely profitable. The increase of trading platforms and software has made it a great deal easier for even new traders to get started and earn a decent profit, however, a lot of the systems that we see today turn out to be scam systems. It is important to do some research before trading with this system to make sure that it is in fact reliable and not a hoax. 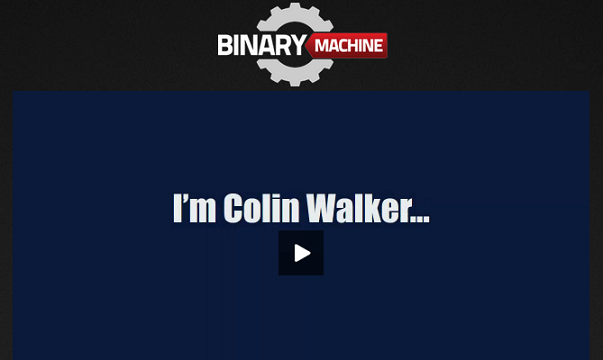 Binary Machine is an automated software system that claims it can earn traders a great deal of money. Is this system for real or just a scam? Read our Binary Machine Review for more information on this trading software. There was really not a great deal of information on the website about Binary Machine nor were we able to find much information elsewhere. We are really quite unclear as to how this system even functions. It does claim to earn traders a lot of money very quickly with little to no work on their behalf. But we have heard all of this before. Is there anything about Binary Machine that makes us want to use this system? As of now, the answer is no, Binary Machine does not have any outstanding features that would make us chose this of any other system. And again, the lack of information about this system is extremely off-putting. How does Binary Machine work? Binary Machine is a fully automated trading system. To use the service, you sign up with their brokers, create a trading account, fund it with at least $250 and then betting trading. You will choose your trading partners and then the system will trade for you. The website claims that it is so easy anyone can use it. We would trust this more if we had any insight as to how this system actually even operates. There is just not enough for us to have any faith in this software as of this writing. Final Conclusion: Is Binary Machine a Scam? We cannot ascertain for certain if this system is indeed a scam as there is not enough information at this time to come to a set conclusion. However, the lack of information also makes us wary of using this software. We feel that there are plenty of other trading systems available that provides traders with more details and have proven results. We cannot endorse Binary Machine as of this writing. 7 Binary Options review: Binary Machine: 1 stars.